This jewelry set includes glamorous crystal necklace and matching pierced earrings and Tika (for the forehead). Necklace Set for weddings, proms, parties, pageants, first communion, or other special occasions. Main neckless is about 11" and adjustable string is about 10", earing are about 3.5", and Tika is about 6.5" One gram gold Choker Indian necklace set with Tika. With metal base, polish hi gold contains minimum amount of gold, therefore the jewelry is termed as one gram gold jewelry. Checkers which are made of glass. 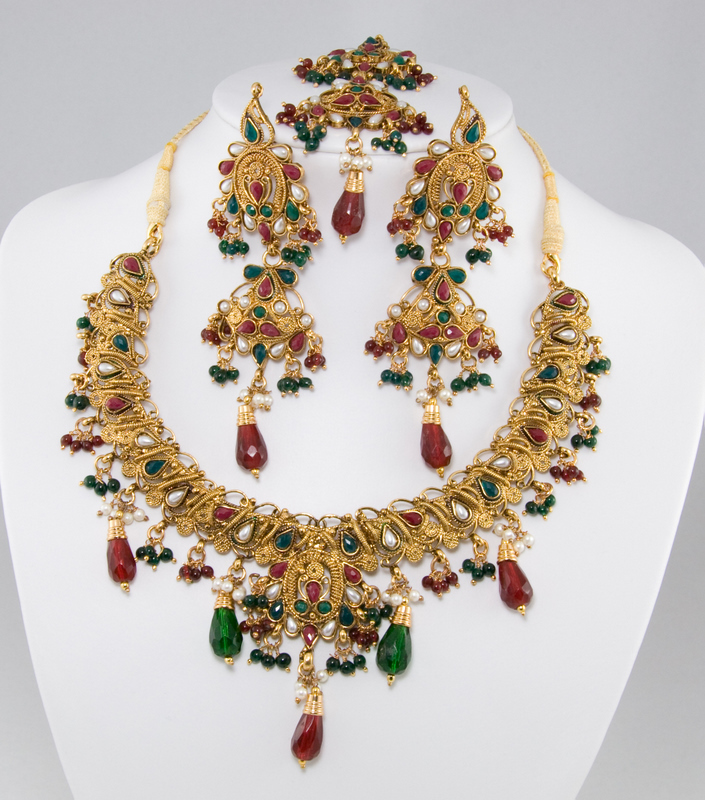 Notify me when "One Gram Bridal Gold Green Red White Choker Neckless Set w/ Tika" is re-stocked.